And now on this past week’s features, and then to the party. Check out your fellow bloggers’ projects. Leave them some wonderful comments to let them know that you stopped by. Thanks for the party! Have a wonderful New Year! You have got to be kidding me!!!! 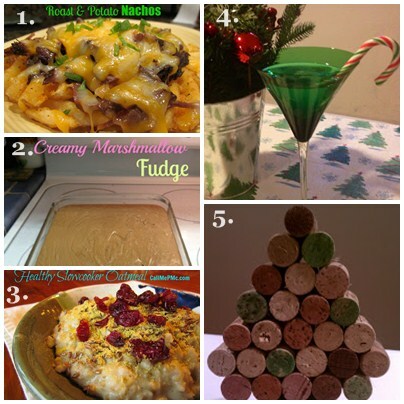 Thanks so much for featuring my Slow Cooker Oatmeal AND my Roast and Potato Nachos!!!! wow! Thanks for hosting, girls! Happy New Year! 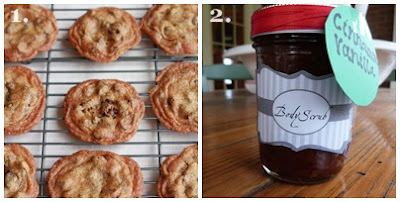 Thanks so much for featuring my Chocolate Chip Kahlua Cookies! They are delicious! Happy New Year! Thanks for featuring my Creamy Marshmallow Fudge! :) Happy New Year! Thanks for hosting Julie! Have a great New Year! Thanks for hosting friend! Have a Happy New Year!! Thanks for the party Julie. Have a very Happy New Year! Thanks for hosting this party Julie. Happy New Year! Thanks for a great party to start then new year! I’m ready. Happy New Year! May it be filled with peace, love, and prosperity! Thanks for the party, Julie! Have a safe and Happy New Year! Thank you for hosting! Happy New Year from the gals at Who Needs A Cape?.